I feel called to share with you today some thoughts on the Ascension Journey and what I call the 4-5 bridge. What I’ve been seeing with many people on the Ascension path is that they can get delayed or stuck at this point, on what I call the 4-5 bridge - or they turn back completely. This is the stage where after going through the Soul Merge process, you’ll cross the Ascension bridge into stage 5, and you’ll step even further into embodying your Soul Blueprint. I call it the 4-5 bridge because it really is like the bridge you’re crossing to higher consciousness, to embody your Higher Divinity - but it’s also very CLEARLY a Rite of Passage. If you think of the film the Matrix, this is the point where Neo swallowed the red pill and he decided to see how far the rabbit hole went. It’s about trusting and following your intuition - when it feels like you’re jumping off a cliff and you can’t see the bottom, and you don’t know if you’ll survive. But that’s the initiation - you are asked to step off that cliff, and when you do you realise it’s not really a cliff, it’s a pavement. And stepping stones will appear - the Divine, your Soul - has your back. You’re never alone, you’re never at risk. But your human aspect is absolutely screaming out with FEAR. One of the aspects which is common to us all in this stretch of the Ascension Journey is the MASK REMOVAL stage. And you’ll have ALREADY been removing masks, and doing your inner work – you’ll have had to, to even get to stage 4. But at stages 4-5, things get really INTENSE. The rest has been preparing you for this - the masks that you're asked to remove as you're crossing the 4-5 bridge are HUGE!!! 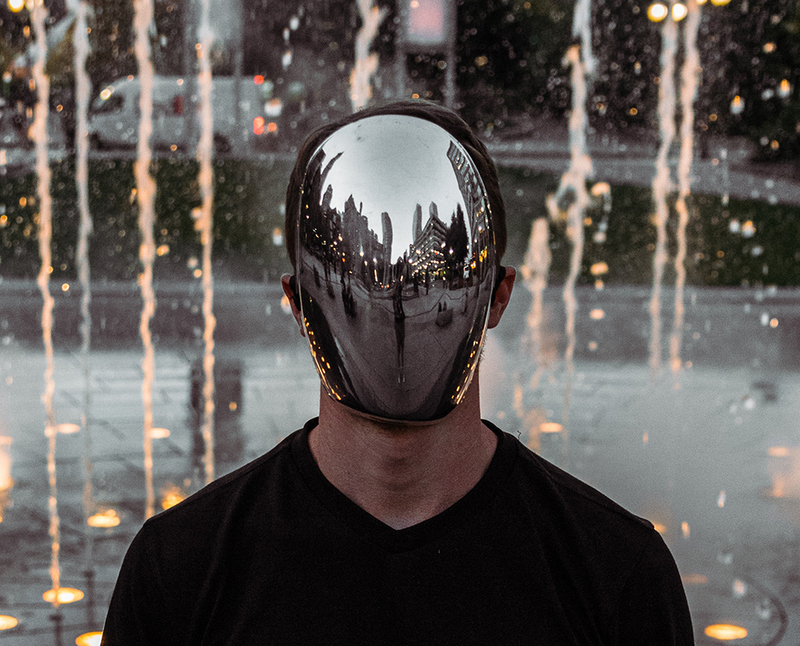 For me, I was hiding behind a corporate mask, I had a different name back then, but the universe was confronting me with lots of confirmation about being an Indigo and Starseed, which I had NO IDEA about before! I received this channelled name, Ariella Indigo, and then I realised I was a hybrid - part human, part elemental, part alien! I was really asked to REMOVE the corporate mask and EMBODY Ariella Indigo. I was asked to 'come out' of the multidimensional closet, to share OPENLY who I was and what my discoveries were, what my revelations were with my community back then. You can image the response – they thought I’d gone CRAZY!! But actually, as I tell my private clients – if you’re not at the stage where people in your reality are thinking that you have gone completely crazy because you’re coming up with things which (to them) are totally incredible – then you’re not STRETCHING far enough. You’re not on the bridge. Because that’s another massive hallmark of the bridge. You have already programmed the people in your reality at a Soul level, to give you the reflection of “This is crazy” “You’ve gone too far” “You need to turn back to safety” – it’s actually a GOOD sign when people in your reality think you’ve gone nuts! Obviously there are limits to that, but I hope you get my point. You’re asked to remove these identities, these masks that you’ve previously been wearing, whatever that is for you. It will be different types of masks – for some, it could be a mask you’ve been wearing to hide sexual shame – so people ‘coming out’ as gay or bisexual for example, that’s like a MASSIVE part of EMBRACING your true essence, and this can also happen while you’re crossing the bridge. Whatever it is that you’ve been holding on to, that you secretly don’t want other people to know about you – that’s what’s going to be asked for you to reveal as you cross the bridge. And for some this stage can be a real challenge – but you have to be prepared to let go of what you had before, so that you can create space for you to truly embody your higher Divinity. If you feel resistance, I would ask you to look within and have an honest conversation with yourself about what are the things, and even identities, that you can sometimes cling onto? It could be things like – being a mum – being a mum is awesome – but it’s not ALL of who you are, and some people can HIDE behind being an identity, whether it’s being a mum, being in corporate, being a girlfriend – all of those sorts of labels. Ask yourself – what identities am I holding onto? What are my blocks? What are my fears? What could be sabotaging you from really taking that LEAP of FAITH, committing to your path, and CROSSING that bridge – so you can enjoy the incredible gifts and talents that are unlocked when we fully activate and embody our highest selves. If you have some time to sit back, relax, and watch a video where you can learn more on this topic, you might like to check out my latest Facebook live, where I shared IN DEPTH on the 4-5 bridge (including my own experiences and how I managed to cross the bridge myself!). Watch it here!! Today I’d like to share with you on the important topic of rites of passage and initiations. A lot of people in the spiritual community talk about wanting to be God-realized, wanting to activate their Divine Gifts and their Higher Purpose, but not necessarily everybody understands that in order to do that, you need to go through your Creator Initiations, your higher initiations which you yourself created before you came here. Initiations are AMAZING opportunities that we have created for ourselves, to transform the things that have been holding us back. So whether that’s our fears, the illusions, the old patterns or the limiting beliefs that we are carrying - these are the old programmes, the old worn out soul stories - the initiations that we’re setting up for ourselves are a way for us to transmute that old energy into something much higher. Our initiations are the way that we can activate the hidden gold, our gifts, and our higher purpose that we all carry in our Soul Blueprints. The things that only YOU can deliver in the world. How you access them is by actually going through the initiations that you’ve created for yourself at a higher level. I thought I would talk a little bit about money today, because money is an area where we can really create big initiations for ourselves in order to leave behind the lack programming, the scarcity consciousness, and unlock our higher abundance. To briefly share my version of this initiation, about 4 years ago now I walked away from a highly paid, 6-figure career working in corporate as a high-flying business manager. I worked for some of the top brands in the world, I was travelling the world, and I was living a luxury London lifestyle. But I didn’t have that passion in my heart for what I was doing. It was just like ticking boxes - turning up to work, putting a mask on, pretending that this was what I wanted to do for the rest of my life, when inside I was dying of purposelessness. I felt really stuck. I then went through a huge awakening experience, a huge multidimensional activation which opened me up to the galactic realms. It was an incredible, very supernatural time, and it shifted my mind-set overnight, in terms of who I knew myself to be and what I thought reality was. And even though I’d been experiencing a lot of these supernatural, psychic experiences for as long as I can remember growing up, I’d suppressed it, I chose to believe it wasn’t true. The experiences scared the hell out of me!! Anyway, when I was going through this experience at age 36, it was like, ‘it’s time to wake up now’ and I could no longer deny and pretend to myself that these other types of realities didn’t exist anymore. So that’s when I left corporate, and I went off travelling for a while. I spent ALL my money, I came back home and I was completely broke. 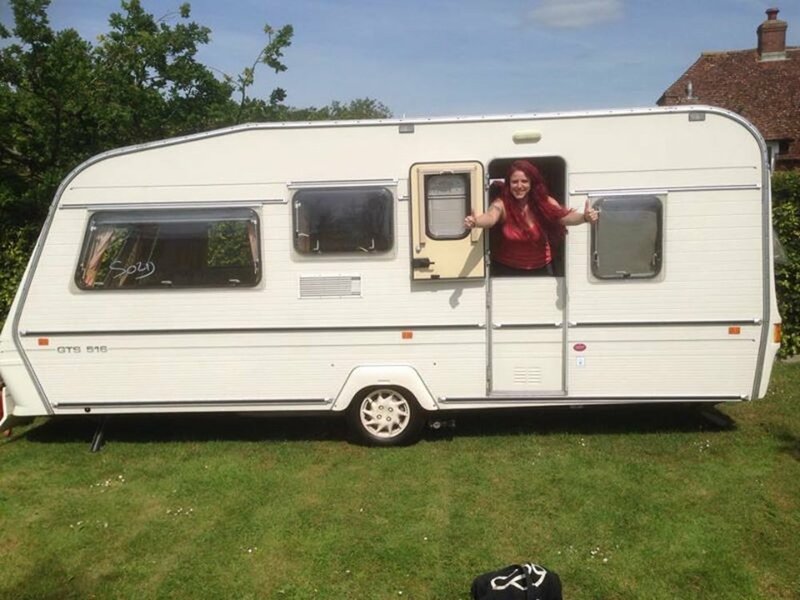 I just had enough money to buy a caravan (or a trailer, for those of you in the US) and I was just holding space for my higher mission to come online. I was going through my own version of an intense money initiation, and we all go through different versions of this initiation. For me it was really around letting go of the illusion of lack, the illusion of scarcity. Even though I’d had a 6-figure salary, I felt imprisoned by it. So I got to walk away from that, and I got to really face my fears around, what will my friends think about me? What will my old business associates think of me? I didn’t have a professional status anymore in society, I wasn’t a business manager anymore. It was time to find out who I REALLY was…. And something that I’d like to share that I think is a key piece for how I went through that transition to be able to unlock my higher abundance – because the trap that I fell into, and I see this SO often in the spiritual community, is thinking that money is a ‘low vibration’. It’s like people are almost ‘too spiritual’ for money. This is a serious and deadly soul-trap. We are here having a physical experience! Money is a necessity in our physical reality! And when it’s in the hands of someone who’s got an open heart, money is the energy of LOVE. Well here’s the thing, we need money to be able to create that impact in the world. We’re not going to be able to effect the kind of positive change that I know that we dearly want to effect, the change that’s in our hearts, if we’re not prepared to walk through the old spiritual mind-sets and old paradigm belief patterns that money isn’t spiritual. Money IS spiritual, money is love. Without that, we may as well just go home and not bother! Because the powers on the Earth that DO have the money are going to WIN. The people who’ve got the money, have got the ability to be able to take a stand, and to be able to change the course of history and impact people’s lives. Isn’t it therefore better that the awakened spiritual community holds this power and ability? I sponsored someone in my community with £8,000 this year ($10,500). The reason I did that is because around 3 years ago now, when I was living in my caravan, I was at that breakdown point when I was almost going bankrupt and I thought - this is it, I’m going to have to go back to corporate now!! ☹ I had a very little amount of money left on my third and last credit card, I was thousands and thousands of pounds in debt, and I manifested a programme to help me get my spiritually-based business off the ground. But it was going to cost me around £8,000, ($10,500) to be able to buy my way into this programme, and I didn’t have it!! And it was in that initiation, in THAT moment of stretch when I took that leap of faith and I said YES. I used the last bit of money I had on my credit card to pay for the first month’s programme, and it was like the miracles just started happening. The doors started opening. I got to see how powerful I TRULY was as a Creator being, because I created the perfect initiation AND the perfect situation for myself, where it looked like all doors were closed to me, and then I got to see the solutions I’d created. I got very creative, I got very resourceful and four months after that, I’m was back in a house again, and I’d earned £30,000 or about $42,000!! So I’ve now sponsored someone in my community, I’ve passed that £8,000 onto them, that the Divine gave me 3 years ago (or that I created), as I was going through my money initiations, I’ve now passed it on to someone else. (It felt SO good!). So that’s what I wanted to share with you about Initiations. I’m going to do more on this topic because I think this is so important, it’s not just about showing up to an energetic activation and receiving energy. We have to put in the PHYSICAL ACTION, and we have to walk through those fears, follow our higher guidance and walk through the resistance that we are creating as we go through these initiations, so that we can unlock the hidden gems that are on the other side of them! It was by going through that initiation, finding that £8k and going through, what was for me, a terrifying experience at the time, it was by doing that, that I started to unlock some of my higher gifts. After I went through this Initiation, I started receiving CLEAR guidance on the next stages of my mission. If it wasn’t, quite frankly, through taking my head out of the stars, and realising that we DO need to have money on the Earth plane to be able to survive, and VALUING that - if it wasn’t for transmuting the ‘I’m too spiritual for money’ limiting belief, and dissolving that money is ‘low vibration’ - if I hadn’t of let that go and left that behind, I would never have been able to accelerate my own Ascension process. I’d have never been able to download the processes and programmes that I’m now working with people!! We really do have to go through these Initiations and take committed action in the physical plane. I believe this is the path that ALL of us are asked to go through; our own version of our Creator Initiations which serve to unlock our higher gifts, our higher abundance, our higher happiness, our higher love - all of it. Sending love & blessings to you while you go through your sacred rites of passages. What have been your experiences with initiations? I’d love to hear your thoughts in the comments below. Do You Struggle With Empathic Sensitivity When Flying? As a Multidimensional Human, have you ever had the experience of your empathic sensitivities going into overwhelm when you travel?! ESPECIALLY when flying?! Plus, now that my mission & service work has taken off, I have the incredible opportunity to travel globally & help the Multidimensional Human community to flourish and thrive with the gifts I've been given to share with others by Spirit. The internet is INCREDIBLE, but there's something very sacred & special about being in THE PHYSICAL together too - and as a starseed who's rapidly (re-)going through the ascension process, I know I need to be as EMBODIED as possible to bring these high frequencies through, which involves anchoring them down into the Earth Plane. I know I'm not alone in feeling like this, especially in the starseed community (seriously, flying in planes is so frikking 3D & HUMAN! Where are the teleports, the vortexes, the instant de-materalising and re-materalising?!?!). So I decided to share my journey with you, especially over the next 6 months in 2018, when I'll be flying at least 3 more times (! ), to let you in on where I'm at with this this challenge, and to share with you what I'm COMMITTED TO, so that I can keep pushing out, LETTING GO and don't let this fear of flying limit my freedom, the impact of my service mission and sense of inner happiness & joy. Because the first half of my journey in this lifetime was so dark and intense at times (much of the intensity was to do with EMBODYING THE PHYSICAL & PROCESSING EMOTIONS which are not natural to me as a starseed, and learning how to protect my body & boundaries from negative entities and other types of intrusive energy so I can be of service as a clear channel), the thing I've discovered is that it's NOT about backing down from your challenges and staying in your comfort zone. Instead, it's about facing your dragons, getting the right kind of support, having an excellent strategy in place and UPLEVELLING YOUR APPROACH, so you allow yourself to be divinely STRETCHED, so you can reach the pot of gold instead. From experience of facing (and conquering) MANY 'dragons' over the past 40 years I've been in this particular vessel, I know that hidden beneath all challenges are actually the most magnificent GIFTS. These precious gifts of gold get activated when we work through our blocks and become part of our sacred wisdom & abilities that we then get to pass onto the world so others can benefit too. The greater the challenge or resistance, the greater the gift is! I'm back in the UK now for 4 weeks before I travel to the States again for a leadership course I'm attending out there, the flight home was actually pretty good (apart from the take off which I found challenging whilst acclimatising), so I'm just observing the build up to my next flight and being as self loving as I can, whilst CELEBRATING what I've already achieved this year (6 flights of 11 hours each!!). Here's to busting THROUGH our fears, accessing the GIFT and stepping up into our GREATNESS! I'm beyond excited to share a major breakthrough I've recently had with you! My dad finally accepted (and even verbally defended!) my reality these past 3.5 years, since I came to understand myself as a star seed & MULTIdimensional HUman. This is HUGE!! I wanted to share this with you to give you inspiration that ANYTHING really IS possible in your multidimensional journey and to encourage you to be as authentic and free about who you are in the world. When I went through my multidimensional awakening 3.5 years ago and discovered I was a star seed, I consciously made the decision to be honest about it and tell my close family and friends about where I was at. Why did I choose to do that? Because just prior to coming out of the multidimensional closet, I'd recently liberated myself from a load of old limiting belief patterns which had resulted in me HIDING my true essence and conforming to what I believed society wanted me to be. When I was younger I'd made myself seriously ill trying to 'fit in' and had wounded up with various 'mental health' labels (all inaccurate - I'm a big time empath - end of) and after rock bottoming BIG time, I went into addiction recovery at the age of 29. After years of being on a dedicated healing journey, cleaning up my act and re-claiming my power to the degree that I was no longer prepared to pretend to be someone I wasn't, and hide behind socially acceptable masks, there was no way in hell I was going to abandon myself when I went through my multidimensional awakening! Uh uh. No fricking way. I'd already paid the price of doing that when I was younger and wasn't about to do the same thing again (but from a different perspective)! So I told everyone in my life who truly mattered to me at that time. I told them honestly that I wasn't of human origin, that I was a star seed and I shared with them some of the supernatural experiences that were happening to me during that period of my life: the alien visitations, the strange languages I could speak that I had no conscious recollection of, the clairvoyant visions, the many downloads and psychic messages that dropped in, the 1111's which kept appearing on my TV screen and in many other places during my day, the electricity in my flat flickering off and on, off an on.... all of it. I shared with them that I was changing my name because I was creating alchemy in my life by using an incredible esoteric Hebrew system I'd connected with. Like I say, I shared honestly with those who truly mattered in my life at that time what I was experiencing. Coming out of the multidimensional closet is not easy for your human aspect. It will test your relationships and push you (hopefully past) your limits. The thing I held onto the most which got me through this part of the process, was my FAITH in what my soul was creating. I knew deep in my heart that the people around me were playing roles in my divine play according to what I needed for my highest good at that time. Who would be my biggest opposer? My dear old dad. Who would break my heart? My beloved best friend. Who would I project my rejection onto? My courageous brother. Who would be my strength? My eternal twin flame Aeythen. Aeythen's mum to my dad: Are you spiritual? Aeythen's mum to my dad: I love them both dearly but I just don't get what they (referring to Aeythen and I) mean? Is it real? My dad to Aeythen's mum: I don't get it either, but I do know one thing: my daughter is totally HONEST. If she says this is what she's experiencing then it's what she's experiencing. Black is black in this case and white is white. She'll say it as she sees it and I respect her for that. I admit that I thought she'd gone crazy, but now I've seen some of what she's created, I know without doubt that this is her TRUTH. And I have never seen her so passionate about ANYTHING before in her entire life. I hope my story inspires you to know that the people who are meant to stay in your life and who truly love you will come back to you. It may take a few months, a few years or even a decade or few! But trust that if they are meant to then they will when the time is right. If not, then sadly it wasn't meant to be. That's why it's so important to cherish the time we do have together. You never know when it may end... (in the physical sense only of course). I hope you’re okay! I know these energies have been blasting us BIG TIME since the eclipses and then the 11/11, leading to the 12/12 and then the closing down of this HUGE PORTAL of change and manifestation we’re in until 21/12!! It’s been like ‘button up tight’, right?! So I got to thinking, what could I send you, for FREE, a straight GIVE from my heart, that might help in some way to lighten the load, bring a smile to your face and raise your frequency? I’ve seriously had 4 clients in the past week ask me how they can connect to their spirit guides! So I decided to record an audio for ALL OF YOU which will take you on a journey so you can meet with them (well, your main guide at the very least!). I know how blessed I’ve felt to connect with some of my guides and energetic helpers over the past few years and to be in contact and work with them every day is just BLISS. You know, I GET that they're all aspects of our higher selves (we’re all ONE, there’s no separation) and they’re all a part of the rich tapestry & divine play, but in the same way I get immense joy after spending time with friends and family that I love, I also get immense comfort and joy out of spending time connecting with my guides. >>> So allow myself and Spirit to take you on a journey to meet and connect with your own personal main guide. After you’ve made the energy connection through the audio it will be easier for you to build up your relationship with them afterwards and receive their guidance and support intuitively yourself. In truth, it’s your Soul which will be assisting you in connecting with your guides (this will become clear when you listen to the audio), but Mary Magdalene has also stepped forward to assist you with making the initial connecting more strongly with your Soul. The meditation is therefore infused with the energy of Mary and she will work with each and every one of you to assist you with your journey. To access and download the free audio recording I’ve done for you, click on the 'dowload' link below this blog post, or just press play directly on the audio player. Here’s to BEing MULTIdimensional and Free! P.S. The more you can TRUST and LET GO, the more will be revealed! Leave a comment about your experience below and feel free to share the love with your friends and community! I'm writing this blog post from my caravan whilst myself, my soul mate Aeythen and our dog Indi have come away on an Arthurian legend adventure to Cornwall, UK. I'll share more about our trip a little later with you, but the reason it's connected with this blog post, is because we're talking about what's good for your SOUL and how to strengthen your connection to it and taking this short break away after the busyness of The Multidimensional Human Experience global summit, has allowed me some time to get back outside in nature, which is helping to re-set me and tune into my wise inner voice and guidance. Our soul is guiding us everyday, whispering in our ear, filling our hearts with lightness, heaviness, excitement, sadness and whatever else it wants to convey to us. Because it can feel subtle, often we mistake these impulses and feelings as 'just us' , not realising that this is the way our soul communicates to us and it's coming from a higher dimension of existence. Our soul is the same as our 'Higher Self'. Both terms are interchangeable. It can be confusing as different people refer to 'the Soul' using different labels. To read about the seven subtle energy bodies which lay outside or physical body and where your Soul resides, then please refer to my blog post "Multidimensional Mind Set: Thoughts Ideas & Creativity". Meditation is a great way to quieten the mind and commune with the Soul. It doesn't have to be through 'formal' meditation (although this definitely helps to settle the mind). Some of my clearest messages have come through whilst I'm walking in nature, washing the dishes, driving my car, or even watching TV! This is because it's easy to slip into an alpha brainwave state when you're doing these activities, which is a light form of hypnotherapy. You're still totally in control but your consciousness has shifted slightly into 'another room', so you're on 'autopilot' as it were and this is often when our Soul speaks to us and guides us forwards. I'm posting plenty more photos and videos of our trip on my Facebook page which you can access by clicking here. Do you want to join the movement of awakened or awakening souls, bravely remembering the multidimensional reality of who they are and asking the BIG questions about how they can raise in consciousness and align with their soul purpose missions? I’ve created a global video summit which starts 31st July 2017 where I’m interviewing and INCREDIBLE lineup of 21+ new paradigm experts, leaders and wayshowers on the topic of: “The Multidimensional Human Experience: How to care for your sensitive soul so that you can evolve spiritually and make a major impact with your mission!”. Who and what are Multidimensional Humans and why are so many of us going through the awakening process? Each speaker is also offering a beautiful FREE GIFT, just for joining this incredible summit and being part of the movement to put multidimensionality on the map. I'm excited to announce that I'm giving away FREE Soul Purpose readings LIVE via my Facebook page on Thursday 15th June @ 8pm BST! Please make a note of the date and time in your diary so you don't miss out on me giving you a helping hand to discover your highest destiny! I work with an ancient Hebrew system which decodes your birth name into sound frequencies to reveal the underlying energies of creation which are responsible for programming your matrix and creating your reality. I'm offering free taster readings for those who wish to join me live on my Facebook page and all you need to do in order to receive a reading is to type in your FULL BIRTH NAME into the comments box. If you have a specific question you would like to have answered then you can type this in too, but otherwise you can leave it open and see what wants to be revealed to you! Your early life and later life challenges (a selection of unresolved past life/karmic issues that the soul has bought into this lifetime. You are to take responsibility for them and transform them into positive qualities and gifts of gold you are to bring into your life). Your early life and later life Goals (These are like the dreams you have for your life, the underlying drive within you that gets you out of bed in the morning – in short, what you really live for). Your overall Soul Destiny (The meaning of your life, why you came to Earth in the first place. This is the answer to the big question you have been asking yourself at some level of your being your entire life). For more information about the Hebrew system I use, then you can read my blog post which goes into more detail about it by clicking here. Do you need some help in understanding your true purpose here on Earth? Want to lift the lid off a particular challenge you're experiencing to gain deeper insight into what the lesson is, so that you can become more conscious of it and move on? Want to know what your greatest gifts are so that you can confidently lead with this talent in your life? Whatever your reason is for wanting a free taster reading, I encourage you to allow me to support you and help align you with your soul's calling in 2017. It may just change your life! I know it did for me. I'm writing this blog post to you whilst still being in the powerful energies of the Gemini Super New Moon we just had last night. Because Gemini is an air sign very and therefore very much linked with our thoughts and ideas, it has inspired me to share with you today a little of what I know about the mental plane and the subtle bodies which make up our multidimensional experience. The mental plane is the 3rd subtle layer of your aura and part of the seven major planes of reality upon which all human beings function. On the mental plane, all thoughts and ideas have their own independent frequency and depending on the frequency with which we ourselves are vibrating at any given time, depends on which strata of the mental plane we are tuning into and therefore which thoughts and ideas we attract. When stuck in a loop of negative thoughts, we are tuned into a lower strata and when feeling rushes of joy and creativity, we are tuning into the higher stratas. 1. The Physical Body (The ‘3D’ material/physical reality, where your physical body is). The Etheric Body sits just outside of the physical body and is an exact replica of it - it is has a blueish/grey tint to it and is what is seen by Kirlian photography). 2. The Astral Body (Where emotions and desires are collected and held. This body is most active within our sleep states, where we are ‘purging’ our daily emotions). 3. The Mental Body (Where thoughts and ideas are stored. Your own personal mental body is highly influenced by the collective mental body of humanity - otherwise known as ‘the mental plane’). 4. The Causal Body (Otherwise known as the soul. This is the higher body of the physical body and it also acts as the bridge between the 3 lower and 3 higher bodies). 5. The Buddhic Body (This is the higher body of the astral body. It is the ‘spiritual emotional plane’ and is where a person will feel feelings such as bliss and spiritual ecstasy. Once somebody has become enlightened, or reaches a certain stage in their awareness/evolution of consciousness, then the causal body dissolves into the buddhic body which signifies the end of physical reincarnation). 6. The Atmic Body (This is the higher body to the mental body. It is the ‘spiritual mental plane’ and allows a person access to higher consciousness which is outside of physical incarnation. This is the level of Christ Consciousness). 7. The Monadic Body (This is not really a ‘body’ as such as it is essentially source consciousness. It is the source of consciousness for all the other levels of our experience: physical, astral, etheric mental, causal, buddhic and atmic). This is why we are all truly multidimensional beings. We exist on 7 major planes of existence, not just the physical! So taking our focus back to thoughts, ideas and creativity which as you can see is strongly associated with our 3rd and 6th subtle bodies (mental and atmic), this then explains why we feel SO GOOD when we are being creative as we are in fact tuning into the higher frequency stratas of the 3rd mental plane. On rare and deeply spiritual occasions, we may even touch upon the higher 6th atmic plane too. Imagine the creativity that would come from that!! The coming of yesterdays Gemini super new moon represents a new cycle and a golden opportunity for us to all BE EXTRA MINDFUL about the thoughts that we are thinking, knowing that we are indeed creating our realities with our thoughts, words, desires and beliefs. NEXT, I want you to think about how you would IDEALLY like to feel about the same seven subject areas above. Now write down one or two words which represent your ideal for each seven subjects. LASTLY, for the next 9 days (9 being the number of completion), I'd like you to ONLY use the IDEAL WORDS you've written down to THINK about yourself, but use them in the PRESENT TENSE, like you ALREADY THINK THIS WAY ABOUT YOURSELF. If your ideal way to see your love life is "passionate" or "thriving", then each day over the next 9 days think to yourself (and say out loud to yourself or others - go on, create the opportunity!) "MY LOVE LIFE IS.... THRIVING!" Or, "I FEEL SO GRATEFUL THAT... MY LOVE LIFE IS SOOOO PASSIONATE!" Do this for the next 9 days and stay conscious about any shifts WITHIN YOU AND IN YOUR EXTERNAL REALITY. Hey, you may feel a little crazy, but what have you got to lose?! TRY IT! Be willing to allow the magic to happen. After 9 days you should have broken down your old negative thought patterns about yourself sufficiently, so that you can now choose your new empowered ways of thinking, and continue to keep applying this new mindset in your life! Are you ready to TRANSORM and accept your 9 day 'Mindset Shift' Challenge? If so, then drop me a comment below to let me know how you are getting on and if you have any questions! I always answer every one! The current cosmic climate supports you. NOW is the perfect time to do it! This week I wanted to write about the human body from a star seed's perspective, because I know that many spiritual souls, empaths and starseeds often struggle with being in a physical, human body, especially whilst living in a body obsessed society that does not honour and recognise our spiritual essence. We often feel trapped and limited by our cumbersome bodies that seem to have a mind all of their own and this can lead to a kind of claustrophobic feeling whereby it brings up anxious feelings of not being able to escape ourselves and feel free, like we are used to in the non physical, light-body planes of existence that many of us know in our hearts is our true 'home'. Many of us come from higher dimensional places where we are accustomed to be able to simply send out a thought of what we would like our bodies to look like and we instantly manifest these wishes. Some of us don't actually have bodies at all, we are pure consciousness, roaming spacious and free, without the limitations of time, space and physical form. This being the case, for some of us, being here on the Earth plane and having a physical body can feel very alien indeed. It is therefore easy for some of us sensitive souls to experience a genuine disconnect with our bodies which then leads to neglect of our physical forms because of our high frequency natures. We tend to feel more at home in the higher chakras and very often prefer to run mental projections about how we feel instead of being present in our bodies and processing emotions in our lower chakras. Many sensitives, star seeds and empaths harbour suicidal feelings and often fantasise about 'going home'. Some do actually commit this desperately sad act as they just can't bare to be here anymore and have such a sensitive nature in a society which is so... insensitive. In a 3rd dimensional planet which is so OBSESSED with how our body 'should' look and imposes many rigid and quite frankly UN-EVOLVED classifications about what is and what isn't a fashionable body shape, it can be all too much for us sensitives, star seeds and empaths. Often it leads us to feel very insecure and ashamed about our bodies, which is a great shame in itself as one of the reasons why we chose to come here in the first place was to experience being in a human vessel! So instead of enjoying the sensory delights available to us, we often fall victim of societies unhealthy body models and regret our choice to come here and wish we could go back home instead. This is a very real problem and one that can easily lead to depression, anxiety and even suicide. So what can we do about this? How can we look after ourselves and learn to worship our bodies and improve our self worth in a society that seems bent on shaming us? Worse still, how can we empower ourselves as star seeds, sensitives and empaths in a society that still doesn't accept our uniqueness and wants to throw us all into either the same category OR give us reductive labels that only seek to further dis-empower us? 1) Give yourself a higher reason of WHY TO LOVE YOUR BODY. If you are like me and hate society's pressure for us to look a certain way and dress a certain way, then it's totally cool (and understandable) to rebel, but you need to find a higher reason of why it'll help you to love and look after your body. Sometimes simply having the awareness that you have chosen to experience being in a physical human body can help, and so now that you have one, it's worth while looking after it so you can experience the many sensory pleasures and joys it can bring to you too. 2) Mix with other sensitives, empaths and star seeds. Has anyone else noticed that we are in a minority here on Earth?! People talk about not separating ourselves and being divisive, which I agree with in many ways, but I don't know about you, but there is safety in numbers?!?! Look at the incredible traction gay people and black people have been able to make in society by sticking together - there are safety and POWER in numbers! Personally, being honest, when I turn on my TV set I'm like, 'no I don't relate to you, I am not like you...', it can make you feel very, very lonely. This is why you need to FIND YOUR TRIBE. It will help you to feel more at home. Thanks to social media there are many amazing online groups that us sensitives can join and share about how we are feeling nowadays. I started up my own FB tribe which is called 'Star Children of The Revolution' and you can join it for free by clicking here. Please also like and follow the growing community on my personal Facebook Page where I share lots of free tips, information and teachings with all types of energy sensitive people. 3) Spend plenty of time in nature. Turn off your TV set, put down your mobile phone or tablet and go out for a walk! All sensitives and empaths are nourished and 'charged up' by spending time out in nature. It will help you to re-set and re-balance yourself which has the knock on effect of improving your self worth. 5) LOVE YOURSELF AND BE KIND TO YOURSELF. Try not to compare your body type and the way you look with others. (I know this is REALLY hard, but try to celebrate your own uniqueness, instead of criticise yourself for it). 6) Understand that your body, the same as everything else on the physical plane, is not supposed to stay STATIC. We all go in CYCLES and our bodies are no different. This is why at certain points in your cycle you gain more fat or get more skinny. TRUST that your body knows exactly what it is doing and if you find you are putting on weight (and are not overeating/abusing your body), then there is a good reason for that, and often it will be linked to where you are on your spiritual awakening path or because of a healing process you are going through. The weight will come off again after you have completed this important process, the best thing you can do it to love yourself and nourish yourself with the foods your body loves whilst you go through these important changes. 7) As a Numerologist and Soul Purpose Reader, I have a lot of knowledge about patterns, cycles and esoteric systems which decode our soul blueprint. What I can share with you is that if you strongly resonate with the number EIGHT (either as your life path number, personality number, personal year, or in your Soul Purpose profile), then it is highly likely that you will have issues around weight in this lifetime and are here to learn to love your body. If YOU are an energy sensitive person and are struggling to find some peace and to develop a healthy relationship with your body, then please know that you are not alone. There are many hundreds of thousands of us on this planet who feel similarly to you and myself, along with many others truly understand how hard it can be to function and feel you are a part of a society that mostly rejects your uniqueness. There is always help and support available if you just reach out and ask. Please remember that YOU ARE ENOUGH, exactly the way you currently are and that you are very much loved by your guides, the angels, your star families and the divine. I hope this message reaches those who it is meant to reach and helps in some small way for you to know that you are not alone and are very much loved. 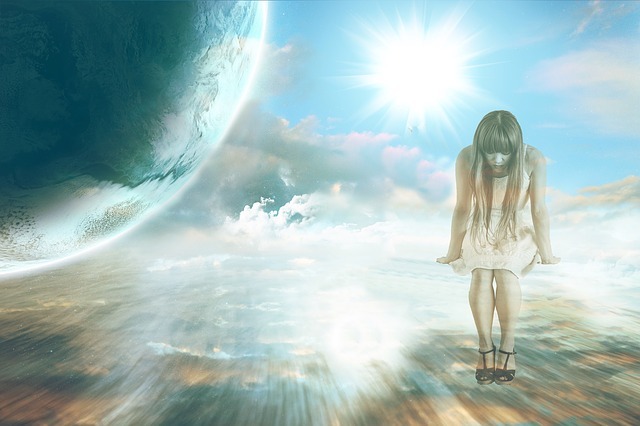 I felt guided to share with you the following information about Spiritual Awakenings because a lot of people (including myself in the past) fail to realise that the symptoms they are experiencing are actually spiritually related. For me, I thought at best that I had an over active imagination, and at worst I feared that I was going mad, going to die or that something really serious was wrong with me!! A lot of people who experience depression, anxiety and other mental health concerns often don't realise that they are awakening spiritually. People experiencing addiction problems, often don't realise that they are seeking to numb out and escape difficult to handle emotions which are caused by spiritual emergence. It is a well known fact to many within the spiritual communities, that M.E./chronic fatigue and fibromyalgia symptoms are classic signs of the body going through genetic upgrades where they receive higher light codes which help to raise their consciousness and overall frequency. I myself have experienced all of the above and it was hugely debilitating and frightening to feel so out of control with my emotional, physical and mental responses and it really affected my self esteem. It is sad that we are still living in a system which doesn't have the awareness that spirituality or awakening symptoms exist and instead we are sometimes mis-labelled by the medical professions and prescribed harmful drugs to treat something physically, when the cause of the problem itself is often non physical. I do see there are a lot of hugely valuable physical, emotional and psychological treatments available today with some very well qualified and talented people, but whilst we are still not incorporating the spiritual cause of these symptoms in the overall diagnosis process, then we leave out a huge piece of the jigsaw and are only half armed with information instead. Some people, including myself, seem to be on a path of spiritual emergence right from birth. Which generally means that their symptoms build up and intensify over time and during key cycles in their personal evolution. They may or may not have any actual spiritual awareness during this emergence and could even be in complete denial about it. Sometimes this 'emergence' can slip into full blow 'emergency' and this is when dark nights of the soul occur (i.e. very intense, often overwhelming episodes which can last for a day, a night, or longer, whereby the person experiencing them often opens up spiritually/psychically and undergoes an intense clearing process whereby they are transmuting dark energy into the higher vibrations, which gets played out in various ways around them). Other people may not experience any symptoms whatsoever until they are older and then may go through a sudden shift or awakening which can feel quite overwhelming to them, or alternatively it may be more gradual process and feel more gentle. Often if it is a sudden shift, then the awakening will change their mindset and philosophy completely which will in turn mean that they make radical changes in their lives. I have been through a few dark nights of the soul in my life and if you are somebody who has not experienced this, then I can assure you that it is extremely traumatic and really not pleasant!! Some people end up taking their lives or being committed when they are in spiritual emergency and I can easily understand why. I managed to get through mine by the skin of my teeth and I am sure, a lot of help from my spirit guides. Of course, we all experience our awakening journeys differently and my intention is not to create fear or suggest that this is the only way! A lot of people go through much more gentle and slower awakenings and never have to experience difficult to handle symptoms. Even if you are somebody who is on a more intense awakening path and has experienced spiritual emergency, then there are PLENTY of times when you connect with the BEAUTY and SERENITY of the higher planes also - which usually manifests as a new loving vibration and awareness which dawns directly after one of these intense episodes. There is no wrong/right, better/worse way to experience spiritual awakenings - whichever way you experience it is always perfect for your particular path and needs. It is important firstly to realise that your symptoms are spiritually based and if you are feeling overwhelmed then try not to fight your symptoms, instead ALLOW and ACCEPT and work on grounding yourself as much as you possibly can. Breath work also helps and if you are in serious trouble, then getting in touch with a local spirit worker (healer, spiritual therapist) to help you through the process can be hugely beneficial. I typically have prayed my way through mine and asked for much help from the higher forces that I believe in. Here on this page is a video which I found helpful about spiritual awakenings and also a REALLY amazing list of symptoms written by Annarita below, which explains in quite a bit of detail some of the common signs and symptoms of going through an awakening, which I hope will help you as much as they did me. Please feel free to share this blogpost, as always, keeping the credit, links and fullness of this article exactly as it stands. Sending you much love and peace on your continuing spiritual journey. Changing sleep patterns: restlessness, hot feet, waking up two or three times a night. Feeling tired after you wake up and sleepy off and on during the day. There is something called the Triad Sleep Pattern that occurs for many: you sleep for about 2-3 hours, wake up, go back to sleep for another couple of hours, wake again, and go back to sleep again. For others, the sleep requirements have changed. You can get by on less sleep. Lately I have been experiencing huge waves of energy running into my body from the crown. It feels good, but it keeps me awake for a long time, then subsides. Advice: Get used to it. Make peace with it and don't worry about getting enough sleep (which often causes more insomnia). You will be able to make it through the day if you hold thoughts of getting just what you need. You can also request your Higher Power to give you a break now and then and give you a good, deep night's sleep. If you can't go back to sleep right away, use the waking moments to meditate, read poetry, write in your journal or look at the moon. Your body will adjust to the new pattern. Activity at the crown of the head: Tingling, itching, prickly, crawling sensations along the scalp and/or down the spine. A sense of energy vibrating on top of the head, as if energy is erupting from the head in a shower. Also the sensation of energy pouring in through the crown, described as "sprinkles". This may also be experienced as pressure on the crown, as if someone is pushing his/her finger into the center of your head. As I mentioned in #1, I have been experiencing huge downloads of energy through the crown. In the past, I have felt more generalized pressure, as if my head is in a gentle vise. One man related that his hair stood on end and his body was covered with goosebumps. Advice: This is nothing to be alarmed about. What you are experiencing is an opening of the crown chakra. The sensations mean that you are opening up to receive divine energy. Sudden waves of emotion. Crying at the drop of a hat. Feeling suddenly angry or sad with little provocation. Or inexplicably depressed. Then very happy. Emotional roller coaster. There is often a pressure or sense of emotions congested in the heart chakra (the middle of the chest). This is not to be confused with the heart, which is located to the left of the heart chakra. Advice: Accept your feelings as they come up and let them go. Go directly to your heart chakra and feel the emotion. Expand it outward to your all your fields and breathe deeply from the belly all the way up to your upper chest. Just feel the feeling and let it evaporate on its own. Don't direct the emotions at anyone. You are cleaning out your past. If you want some help with this, say out loud that you intend to release all these old issues and ask your Higher Power to help you. You can also ask Grace Elohim to help you release with ease and gentleness. Be grateful that your body is releasing these emotions and not holding onto them inside where they can do harm. One source suggests that depression is linked to letting go of relationships to people, work, etc. that no longer match us and our frequencies. When we feel guilty about letting go of these relationships, depression helps us medicate that pain. Old "stuff" seems to be coming up, as described above, and the people with whom you need to work it out (or their clones) appear in your life. Completion issues. Or perhaps you need to work through issues of self-worth, abundance, creativity, addictions, etc. The resources or people you need to help you move through these issues start to appear. Advice: Same as #3. Additionally, don't get too involved in analyzing these issues. Examining them too much will simply cycle you back through them over and over again at deeper and deeper levels. Get professional help if you need to and walk through it. Do not try to avoid them or disassociate yourself from them. Embrace whatever comes up and thank it for helping you move ahead. Thank your Higher Power for giving you the opportunity to release these issues. Remember, you don't want these issues to stay stuck in your body. Changes in weight. The weight gain in the US population is phenomenal. Other people may be losing weight. We often gain weight because many fears we have suppressed are now coming up to the surface to be healed. We react by building up a defense. We also attempt to ground ourselves or provide bulk against increasing frequencies in our bodies. Advice: Don't freak out, but just accept it as a symptom of where you are right now. You will release/gain the weight when all your fears have been integrated. Release your anxiety about this. Then you might find it easier to lose/gain the weight eventually. Exercise. Before eating, try this: Sit at the table with an attractive place setting. Light a candle. Enjoy how the food looks. Place your dominant hand over your heart and bless the food. Tell your body that you are going to use the food to richly nourish it, but that you are not going to use the food to fulfill your emotional hungers. Then pass your hand from left to right over the food and bless it. You may notice that the food feels warm to your hand even if the food is cold-- I like to think that the food is good for me when it feels warm and nourishing to my hand. I have also noticed that when I practice blessing the food, I don't eat as much. It is important not to let yourself off the hook when you forget to bless the food before you eat. If I've forgotten and I've nearly finished eating, I bless the food anyway. That way I don't slip out of the habit. Another thing you can do is to stay present while eating -- don't watch TV or read. Heartily enjoy what blessings are before you. Changes in eating habits: Strange cravings and odd food choices. Some find they are not as hungry as they used to be. Or hungrier. Advice: Don't deny what your body tells you it needs. If you are not sure, you might try muscle-testing before you chose a food to see if it's what your body wants. Also try blessing the food as described in #5. Amplification of the senses. Increased sensitivity. 8a. Sight: Blurry vision, shimmering objects, seeing glittery particles, auras around people, plants, animals, and objects. Some report seeing formerly opaque objects as transparent. When you close your eyes, you no longer see darkness, but redness. You may also see geometric shapes or brilliant colors and pictures when eyes are closed. Colors appear more vivid -- the sky might look teal or the grass an amazing green. Often I see grids running across the ground. As you become more sensitive, you may see shapes or outlines in the air, especially when the room is almost dark. When your eyes are open or closed, you may see white shapes in your peripheral vision (these are your guides). Advice: Your vision is changing in many ways -- you are experiencing new ways of seeing. Be patient. Whatever you do, do not be afraid. Hazy vision maybe relieved by yawning. 8b. Hearing: Increased or decreased hearing. I once thought I would have to pull off the road because of the painfully amplified sound of my tires on the freeway. Other symptoms are hearing white noise in the head, beeps, tones, music or electronic patterns. Some hear water rushing, bees buzzing, whooshing, roaring or ringing. Others have what is called audio dyslexia-- you can't always make out what people are saying, as if you can no longer translate your own language. Some hear strange voices in their dreams, as if someone is hovering near them. You can either ask the presence(s) to leave or ask Archangel Michael to take care of the situation. Again, there is nothing to fear. Advice: Surrender to it. Let it come through. Listen. Your ears are adjusting to new frequencies. 8c. Enhanced senses of smell, touch, and/or taste. I notice I can now smell and taste chemical additives in some foods in a rather unpleasant manner. Other food may taste absolutely wonderful. For some people, these enhancements are both delightful and distracting. You might even smell the fragrance of flowers now and then. Many of the mystics did. Enjoy it. Skin eruptions: Rashes, bumps, acne, hives, and shingles. Anger produces outbreaks around the mouth and chin. I had a dermatitis on my extremities for several months that accompanied healing an episode from my past. When I had worked through most of the issue, the condition was released. Advice: You may be sloughing off toxins and bringing emotions to the surface. When there is an issue to be released and you are trying to repress it, your skin will express the issue for you until you process the emotions. Work through your "stuff". Episodes of intense energy which make you want to leap out of bed and into action. Followed by periods of lethargy and fatigue. The fatigue usually follows great shifts. This is a time of integration, so give into it. Advice: Roll with the nature of the energy. Don't fight it. Be gentle with yourself. Take naps if you are tired. Write your novel if you are too energized to sleep. Take advantage of the type of energy. Vivid dreams. Sometimes the dreams are so real that you wake up confused. You may even have lucid dreams in which you are in control. Many dreams may be mystical or carry messages for you. And in some dreams, you just know that you are not "dreaming" -- that what is happening is somehow real. Advice: You will remember what is important for you to remember. Don't force anything. Above all, stay out of fear. Events that completely alter your life: death, divorce, change in job status, loss of home, illness, and/or other catastrophes -- sometimes several at once! Forces that cause you to slow down, simplify, change, re-examine who you are and what your life means to you. Forces that you cannot ignore. Forces that cause you release your attachments. Forces that awaken your sense of love and compassion for all. A desire to break free from restrictive patterns, life-draining jobs consumptive lifestyles, and toxic people or situations. You feel a compelling need to "find yourself" and your life purpose -- now! You want to be creative and free to be who you really are. You might find yourself drawn to the arts and nature. You want to unclutter yourself from things and people that no longer serve you. Advice: Do it! Emotional and mental confusion: A feeling that you need to get your life straightened out--it feels like a mess. But at the same time you feel chaotic and unable to focus. See #45. Advice: Put your ear to your heart and your own discernment will follow. Introspection, solitude and loss of interest in more extroverted activities: This stage has come as a surprise to many extraverts who formerly saw themselves as outgoing and involved. They say, "I don't know why, but I don't like to go out as much as before." A perception that time is accelerating. It seems that way because you have had so many changes introduced into your life at an unprecedented rate. The number of changes seems to be growing. Advice: Breaking your day up into appointments and time segments increases the sense of acceleration .You can slow time down by relaxing into the present moment and paying attention to what's at hand, not anticipating what's ahead. Slow down and tell yourself that you have plenty of time. Ask your Higher Power to help you. Keep your focus on the present. Try to flow from one activity to the next. Stay tuned to your inner guidance. You can also warp time by asking for it. Next time you feel rushed, say, "Time warp, please. I need some more time to -----." Then relax. A sense of impendingness. There is a feeling that something is about to happen. This can create anxiety. Advice: There is nothing to worry about. Things are definitely happening, but anxiety only creates more problems for you. All your thoughts -- positive or negative-- are prayers. There is nothing to fear. Impatience. You know better, but sometimes you can't help it. You want to get on with what seems to be coming your way. Uncertainty is not comfortable. Advice: Learn to live with the uncertainty, knowing that nothing comes to you until you are ready. Impatience is really a lack of trust, especially trust in your Higher Power. When you focus on the present, you will experience miracles -- yes, even in traffic. A deep yearning for meaning, purpose, spiritual connection, and revelation. Perhaps an interest in the spiritual for the first time in your life. "Constant craving", as k.d. lang says. The material world cannot fulfill this longing. Advice: Follow your heart and the way will open up for you. "Teachers" appear everywhere with perfect timing to help you on your spiritual journey: people, books, movies, events, Mother Nature, etc. Teachers may appear to be negative or positive when you are trapped in polarity thinking, but, from a transcendent perspective, they are always perfect. Just what you need to learn from and move on. By the way, we never get more than we are ready to master. Each challenge presents us with an opportunity to show our mastery in passing through it. You are moving through learning and personal issues at a rapid pace. You sense that you are "getting it" quite readily. Advice: Keep remembering that things will come to you when they are ready to be healed. Not sooner. Deal with whatever comes up with courage and you will move through the issues rapidly. Invisible presences. Here is the woo-woo stuff. Some people report feeling surrounded by beings at night or having the sensation of being touched or talked to. Often they will wake with a start. Some also feel their body orbed vibrate. The vibrations are caused by energetic changes after emotional clearing has taken place. Advice: This is a sensitive topic, but you may feel better blessing your bed and space around it before you sleep. I rest assured that I am surrounded only by the most magnificent spiritual entities and am always safe in God's care. Sometimes, however, the fear gets to me, and I call in Archangel Michael and/or Archangel Uriel. I don't beat myself up for being afraid sometimes. I forgive myself for not always sovereign at 3:00 a.m. Portents, visions, "illusions", numbers, and symbols: Seeing things that have spiritual importance for you. Noticing how numbers appear synchronistically in your awareness. Everything has a message if you take the time to look. I enjoy the experience of "getting the messages." What fun! Increased integrity: You realize that it is time for you to seek and speak your truth. It suddenly seems important for you to become more authentic, more yourself. You may have to say "no" to people whom you have tried to please in the past. You may find it intolerable to stay in a marriage or job or place that doesn't support who you are. You may also find there is nowhere to hide, no secrets to keep anymore. Honesty becomes important in all your relationships. Advice: Listen to your heart. If your guidance tells you not to do something, speak up and take action. Say "no". Likewise, you must also say "yes" to that which compels you. You must risk displeasing others without guilt in order to attain spiritual sovereignty. Increased synchronicity and many small miracles. Look for more of these. Advice: Synchronistic events tell you if you are heading in the right direction or making the correct choices. Honor these clues and you cannot go astray. Spirit uses synchronicity to communicate to you. That's when you begin to experience daily miracles. See #30. Increased intuitive abilities and altered states of consciousness: Thinking of someone and immediately hearing from them. More synchronicities. Having sudden insights about patterns or events from the past. Clairvoyance, out-of-body experiences, and other psychic phenomena. Intensified sensitivity and knowing. Awareness of one's essence and that of others. Channeling angelic and Christ-consciousness energies. Living your purpose: You know you are finally doing what you came to earth for. New skills and gifts are emerging, especially healing ones. Your life/work experiences are now converging and starting to make sense. You are finally going to use them all. Advice: Listen to your heart. Your passion leads you to where you must go. Go within and ask your Higher Power, "What is it you would have me do?" Watch for synchronicities. Listen. Feeling closer to animals and plants. To some people, animals now seem to be more "human" in their behavior. Wild animals are less afraid. Plants respond to your love and attention more than ever. Some may even have messages for you. Seeing a person's true form or seeing loved ones with a different face -- past life or parallel life. Left -brain fogginess. Your psychic abilities, your intuitive knowing, your feeling and compassion, your ability to experience your body, your visioning, your expressiveness all emanate from the right brain. In order for this side of the brain to develop more fully, the left brain must shut down a little bit. Normally the left-hemisphere's capacity for order, organization, structure, linear sequencing, analysis, evaluation, precision, focus, problem-solving, and mathematics dominate our often less-valued right brain. What results are memory lapses, placing words in the wrong sequence, inability or no desire to read for very long, inability to focus; forgetting what you are just about to say; impatience with linear forms of communication (audio or written formats); a feeling of spaciness, being scattered; losing interesting research or complex information; feeling bombarded with words and talk and information; and a reluctance to write. Sometimes you feel dull and have no interest in analysis, lively intellectual discussion, or investigation. On the other hand, you might find yourself drawn to the sensate: videos, magazines with photos, beautiful artwork, movies, music, sculpting, painting, being with people, dancing, gardening, walking, and other kinesthetic forms of expression. You may search for spiritual content, even science fiction. Advice: You may discover that if you allow your heart and your right brain to lead you, the left will then be activated appropriately to support you. And someday we will be well-balanced, using both hemispheres with mastery. Dizziness. This occurs when you are ungrounded. Perhaps you have just cleared a big emotional issue and your body is adjusting to your "lighter" state. Advice: Ground yourself by eating protein. Sometimes "comfort food" feels right. Don't make any food right or wrong for you. Use your guidance to know what you need at any given moment. Take your shoes off and put your feet in the grass for a couple of minutes. Memories surface. Body memories, suppressed memories, images of past lives and/or parallel lives. We are healing and integrating all our "selves", so expect to have some of these experiences. Advice. Keep in mind that it is best to recall what only what comes to mind, leave the rest alone, don't analyze everything to death (because you will be stuck in the tape loop of infinite issues to process), and feel your feelings as they come up. Ask for help from your guides. It has very much been brought to my awareness that many people are struggling right now to ground, balance and protect their energy. The earth has been bombarded by some very intense solar wind for the past few weeks since the start of 2017, which has been activating our DNA and mutating our genetic frequency. This is causing all sorts of physical aches and pains and emotional reactions. In addition to this, a new planetary portal has been opened which is creating some unrest until it integrates and grounds more fully. So both of these situations, with the added volatile energy currently at play in the collective, brought on by the American Presidential Inauguration, is causing a lot of us to feel energetically challenged at the moment and to experience more headaches, brain fog, nervousness and erratic emotions. Please know that this is a short term energy current only and will be passing soon as the '1' planetary energy becomes stronger as we go through into February. Until the intensity of the energy does lesson, it is well worth considering upping your daily energy management and protection routine. From the perspective that most people who will read this are empaths, I felt strongly to share with you some information regarding energy management and protection that I have learnt (the hard way!) and hugely benefited from. Please know that I say this to you with love and also as somebody who has had the experience of what is feels like to NOT have an energy management/protection routine in place in the past! I used to stumble through life feeling incredibly anxious and in an emotionally traumatised state for many years until I realised why and then eventually rock bottomed in my late twenties because of it. Since putting into place a daily routine I have been able to function MUCH, MUCH BETTER in the world and my intuitive/service gifts have had the space to emerge and blossom. Does this mean that I am not affected by the global energy? No, I still very much feel it, but I can COPE with it better now. It does mean however that I have stopped picking up lower vibrating entities and attachments and that one change alone has literally turned my whole life around!! Before I go into the tips I have for you and how you can quickly and easily implement them into your routine, the first thing I'd like to share is that WE ARE ALL RESPONSIBLE FOR OUR OWN ENERGY. This is like the 'ground zero' for us empaths and psychics. If you haven't got this stuff down as NUMERO UNO in your psychic toolbox, then little else will work, because you are not going to be able to sustain your gifts for long enough to make any real impact on fulfilling your purpose. You will literally get consumed and feel totally overwhelmed by your emotional response to external energy (of all sorts) in your environment. Your guides and guardians WILL NOT step in to help you when you are not taking responsibility for your own energy, because as empaths we have volunteered to come here to share our high frequency and gifts with society, but we are also here having a very human experience, which includes mastering our personality selves and our emotions. So learning to having the appropriate boundaries in places which protects our energy from intrusive or otherwise unbalancing external influences is part of the gig! Secondly, if you haven't already done so, I'd also advise considering putting into action a DAILY ROUTINE to manage and protect your energy. It doesn't need to take long (2-3 mins is sufficient - which is less than brushing your teeth), but if you don't keep up your energy management practice then you will be opening yourself up to your boundaries becoming weak which will leave you vulnerable for intrusive external energy to come in. My personal routine is to ground and put my 'bubble up' once in the morning and once at night before I go to sleep. I also ensure that my chakras are fully closed down and my aura pulled in when I need to do stuff like go to the supermarket or be in busy places so I don't get overwhelmed. As well as attending to my physical body, I also regularly clear the energy and protect my house, car and work space too. All of these are extensions of your own energy, so will mirror what is happening within your body. ALL boundaries therefore need to be managed and protected. If you don't have a routine or if you are unclear on how to manage and protect your energy, then I have included some very useful pointers below which were given to me by my mentor, who is an extremely sensitive and psychic lady and taught me to have a similar excellent daily routine in place as she does. Lastly, if you believe you have any entities attached to you (and yes this is a real thing), then you may well find that your energy management routine is not that effective even if you are doing it on a daily basis. If this is the case and you can't clear the intrusive energy yourself, then I highly suggest that you see a qualified Spirit Release Practitioner in your local area and ask for their assistance in clearing it/them. Having attachments is NOT pleasant (and boy don't I know that from personal experience!) and as empaths it is unfortunately likely that you will be more prone to pick more attachments and intrusive energy up than somebody who is not as sensitive as you are. As empaths we can sometimes feel quite dis-connected from our bodies and also quite resistant to feeling our emotions (because when we do they feel so overwhelming). This leaves us open to all sorts of stuff jumping in - whether it be entity attachments or thought forms, or other peoples & places energy. You need to take back your SOVEREIGN RIGHT over your body and clearly affirm to the universe that you do not allow any energy to stay within you that is not of your highest interest! This should be done regularly to reinforce the rule! If you have any questions or comments then please let me know on my Facebook Page or below, but in the meantime I hope you get something out of this blog post and the following information on how to put a great energy management and protection routine i place. It is truly an empowering thing for an empath to be on top of managing their energy. If you don't already follow me on Facebook, then please 'like' my personal page where I share daily tips and advice on what is happening spiritually in the collective; how you can ensure you are ahead of the curve and also interesting articles, videos and blogs of a metaphysical nature. Please feel free to share with your communities, but keep this blog post in its entirety and leave all the links/credit as they are! Thanks! Start first with this universal and simple exercise. Place your feet on the floor, focus on the sensations of your feet and the ground beneath you as you move stretching and flexing your feet and toes. Walk around; stamp your feet if you wish. Engage all your senses. Focus on the ground beneath you, notice how solid it feels and as you take a few slow deep breaths allow the energy to be pulled down through your body. You may feel this or simply set the intention for it to happen. Continue until a feeling of equilibrium returns. It may take a few minutes initially but with practice it can be done seconds. Free any excess energy or emotion down through your body and out through your feet. Words such as ‘release release release’ can be said either to yourself or out loud to aid the process. As well as the feet the energy can be dissipated through the palms of your hands by bringing them down to the ground or earth too. Stamp your feet and slap your palms on the ground until it is all gone. This exercise can be done anywhere, however when possible it is advisable to go outside be in nature and connect directly with the earth. Experiment with any or all of the following too, find the ones that you like best and incorporate them into every day life. Pat your limbs down. This links with the meridian channels, it is a very centring exercise. Pat your arms down from shoulder to wrist starting with the left arm and then the right. Next firmly pat the inside of each wrist. Move on to the legs, working again from top to bottom all the while breathing evenly and easily. Clap your hands together remaining mindful of everything you are aware of from the sensations in the hands and arms it creates to the sounds and so forth. Drink a glass of water or a hot drink with a biscuit. Hot food and those associated with the root chakra such as proteins and meat are good for help in grounding. Do some gardening remaining mindful of your actions, feel the earth whilst planting or digging. Cleaning and other physical chores such as decorating can be grounding if you focus on the mindfulness aspect of each task and draw the energy down in to your feet first. Exercise is an excellent way to ground, again remaining mindful. Go for a jog or a long walk in the park or in natural surroundings such as woods or on a beach. When in nature connect with it, lean your back again a tree or if you so wish give it a hug! Use your palms and feet focusing on the feeling of the connectedness with the earth. Simply lie on the ground and feel the connection the entire length of your body. Crystals. Place a grounding crystal by your feet or hold it in your hand asking for grounding assistance from it. Try jet, hematite, smoky quartz or others associated with the root chakra such as onyx or tiger’s eye. Essential oils and incense. Try cedarwood, patchouli, myrrh or musk. To enhance the benefits a blend of oil specifically for grounding may be sprayed in the room or placed directly on the skin. Homeopathic, Bach Flower and offer natural remedies and medicines for grounding. Your energy is yours alone, it is your right to determine and allow what can and cannot enter your energy field. Energy Protection is a barrier to intrusive energy it will not prevent or limit your spiritual growth. Sitting or lying down close your eyes and imagine you are in a bubble of light completely surrounding you, comfortably encasing you from head to foot about 2 feet from your body. Visualise and feel that wonderful bubble of light and the security of being within it. Set the intention only positive energy and that for your highest good can permeate the bubble, all energy of lower vibration and that wished or ready to be released can naturally flow out of the bubble at any time. Take a few minutes to really feel yourself within your bubble, enjoy the experience and the sense of tranquil safety it brings. Once the energy is set with the intention you are ready to continue your day. There are numerous protection methods you may wish to investigate, such as incorporating the use of symbols, colours, crystals, oils and sprays and enlisting assistance from light beings such as spirit guides or Archangel Michael. Always take care with your intent whatever the method, it is unnatural to be shut off from energy completely and a free flow still needs to take place for health and well being. Learning that I am an indigo was one of the most pivotal and transformative days of my life, and so it is with honour and love that I share some of what I know with you so you can decide for yourself whether either you or somebody you know is a star child or star seed. I'd like to start by making it clear that I firmly and absolutely believe in equality and so being a star seed does not make you any more special or superior to anyone else. We are all individual expressions of the divine and there is no separation only ONENESS and UNITY at the highest level, but as you know, it is here in the physical plane that we get to experience the illusion of separation and the illusion of duality/polarity consciousness. As far as I understand it, there are four major energy 'types' that we all fall into: Human, Angelic, Alien and Elemental - and some of us are a hybrid mix of between two or even four of the above. 'Star seeds', as the name suggests, come from other planets and dimensions and carry the alien and angelic energy makeup in their DNA. Star seeds usually fall into the category of being volunteer souls who have come to Earth with specific missions to deliver to help with Earth's shift into the higher frequencies. This being said, I would like to point out that I have met some truly awesome and highly gifted psychic 'Human's' too, who are here on incredible missions, so just because you are a star seed does not mean that you are necessarily going to be more evolved or psychically developed than some others who identify more with mainly Human energy. For me, what is true, is that we all actually come from the stars. We all have starry origins and have likely had many different incarnations on many different planets and dimensional frequencies. We know scientifically that we literally are all made of stardust, so even if your belief system differs from mine, then it has to be agreed that the stars play a very important part in our lives regardless of evolution theories and beliefs. It is more a case then of how we view and identify ourselves - do we feel more human, more alien/angelic or more elemental? Or perhaps a mixture of two, three or all four? My own personal blend is a hybrid mixture of Human, Alien and Elemental energies. It has been very much been a part of my purpose to discover, accept, balance and integrate all three. At different times in my life, different energies have taken the more dominant focus, which in the past left me feeling quite divided, isolated and confused, but I am happy to say that the more I have accepted what I am, made friends and connected with others who are similar, the less lonely and strange I have felt in a society that still does not recognise these other realities. I found out the truth of who I am through a radical and intense spiritual experience I went through when I was 36 years of age. It literally changed my whole outlook and philosophy almost overnight. I received a lot of information whilst I was going through this experience (which lasted for about 6 weeks in total) and part of that was to realise that I was an indigo and had come from the stars. It's a pretty big day in one's life when you realise that you are not entirely human! It took me many months to integrate that major piece of awareness and feel grounded and connected to society again. Because my way has always been one of candid and rigorous honesty, I did tell certain family members and friends, but in hindsight I could have maybe of handled this better and been more sensitive to their sensitivities and belief systems, rather than just blasting them with it and expecting them to get on with it and accept me as I was! WHO ARE STAR CHILDREN & STAR SEEDS? Star Children or "Star seeds" is the overall term used to describe Indigo, Crystal and Rainbow children (and adults). The awareness of these types of children and adults has been well known in metaphysical circles since the 1970's when Lee Carroll, who channels Kryon, first told the world about them. "Indigo" was the term originally used back then and it is still widely used by many today. There is a quite a big difference however between the 3 most well known categories of Star Children: "Indigo's, Crystals and Rainbow's". For further information on each category and to assist with finding out if you could be a Star Child yourself, then please read on. Star Children are here to bring peace, to topple corrupt systems and shift dimensional consciousness. We are here to assist in the rebirth of a higher dimensional world. We possess many special, unusual and sometimes supernatural traits or abilities which assist us in our personal and shared global missions. Since the awareness of Star Children exploded in the metaphysical scene in the 70's, many top ranking professionals in all different kinds of disciplines - Scientists, Psychotherapists, Doctors of Science, Clinical Biologists, Psychic Channelers (to name but a few) - have backed up the idea that these children exist. China are taking the subject so seriously due to the evidence of some seriously supernatural abilities which are evident in some children born in their culture, that they are funding a research project to try find out where these incredible abilities come from. In addition to the metaphysical/new age interpretation of Star Children, other open minded scientific research groups concerning extra-terrestrials also back up the notion that these Star Children exist. These groups completely support the metaphysical view of what the Star Children are here to do, but they suggest that these Star Children are in fact human/alien hybrids themselves, originating from different planets other than on Earth. The Pleiades and Sirius appear to be two popular solar systems that a large proportion of these individuals claim to be originating from. These scientific research groups - which again include many top ranking professionals - claim that the Star Children have been put on Earth to act as a bridge between humans and ET's, to open the channel for trade and communication between our planets and other beings in the galaxy. Thousands of people have come forward to these research groups to report visitations from ET's, conscious memories of being on board craft and many have been given special gifts from these ET's which are helping to heal our planet and raise the collective vibration for all of us. There’s a lot of discussion surrounding the ideas of what a ‘Star Child’ is. Crystal Children are the contrast to the Indigo’s. After the new ways of life have been established, the Crystal’s come in to act in harmony with the world. They are more blissful and even-tempered than the Indigo’s. They set the example for the masses to see how we can act in cooperation with one another. The Crystal Children follow the cleared path, into a safer and more secure world. A lot of them hold innate spiritual gifts can be easily misunderstood. The more advanced the children are, the more they struggle on this dimension. A lot of people diagnosed with severe autism are Crystal children. They are operating at a much higher frequency that doesn’t require verbal communication so we assume they are just autistic or misunderstood. Many of the Crystal Children have delayed speech patterns, and it’s not uncommon for them to wait until they’re 3 or 4 years old to begin speaking. Finally we have Rainbow Children. They are the highest example of our true potential. They are the embodiment of true divinity. They are about service to others as giving is their chosen path. In that way, they are at the height of their ‘spiritual peak’ because of their duties to help. In the end, anyone who wants to exist in alignment with the earth is a ‘Star Child’. We all share traits of each type of child but how we act out our intentions are what define us. Essentially, the Indigo children are here to break down the paradigm of the traditional thinking. The Crystal children then build their foundation on the broken paradigm. And then the Rainbow children continue to build on to what the Indigo and Crystal children began; eventually transcending our paradigms to create an entirely new way of existing! 2. A longing to fly, or do a lot of travelling. Having that feeling that you want to go home. 3. Changing your outward appearance. Changing hair colour, style, style in clothing: I feel all of this is a way for us to try to figure out who we are. 7. You abhor violence of any kind. Whether it’s movies, television, world events, or personal events. 11. Social awkwardness. Putting your foot in your mouth. Awkwardly feeling like the conversation is over, but not sure how to continue. 12. You not only love to have the latest gadgets & technology, but also learn how to use them quite easily. You’re a quick learner. Sign up with your email address to regularly receive news which is written with energy sensitive people in mind. There has been much written and documented about star children and star seeds, so if you are interested in going deeper into your understanding of what they are and how they function, then I would highly recommend checking out the below recommended links. All were really helpful for me when I first realised that I was an indigo, and I am deeply appreciative to all the authors and individuals named below who massively helped me to understand who I am. Please also join my Facebook group: "Star Children of the Revolution" which is a growing private discussion group I have set up to support and share information with other Star Children during the awakening process and through our personal development on Earth. 2) Another book called "The Care and Feeding of Indigo Children" by Doreen Virtue, which is especially good if you believe you may be a parent of a star seed. 3) Anything by Mary Rodwell, including this fantastic full length lecture on YouTube. If you believe you might be a star seed and would like to book a reading with me or a private mentoring session, then please reach out to me via email on support@ariella.indigo.com and we will discuss your needs! Do you know what your Soul Purpose is? Your soul purpose contains the details of what we chose to play out in this lifetime for the highest possibility of growth and expansion as is available to us for our soul's evolution. It is key to understanding why we get locked into patterns of behaviour and the same lessons are presented to us time and time again. Becoming aware of what the main lessons are that we have agreed to work through during this lifetime, is the first step to being able to break free of them and transmute our weaknesses into our greatest strengths. When we are born a veil of amnesia came down and we forget who we are and what we came here to be. We are challenged to find our way through this dense vibration, maze of a world without a map of where we are headed. 'Trial and error' becomes our chief navigator and mantra. A Soul Purpose Reading acts as a spiritual life-map to help guide us through the fog of amnesia and towards the most powerful potential we came here to achieve. How does a Soul Purpose Reading work? We look at the fundamental aspect of who you are by taking the sonic vibration of your full birth name as our 'code'. This is because your birth name is no coincidence and is your unique identifier. Many believe that it is the incarnating aspect of the Divine (the soul) that actually choose your name and telepathically transmit this to your parents. The sound vibration of your name along with the accompanying cultural, geographical, biological and astrological conditions are what initiates the process of individuation for us all. Modern science has concluded that our world is created and composed of vibration and light (everything is made of energy). This includes sound and language. Frank Alper (a prolific and highly respected Atlantean channeller) channelled this work through in the 1980's. The Soul Purpose reading has it's roots in ancient Hebrew Gemetria, the Kabbalah, numerology, the Light Language and Egyptian mythology. Your early life and later life challenges (a selection of unresolved past life/karmic issues that the soul has bought into this lifetime to create the negative context in your life. You are to become conscious of these, take ownership of them and transform them into positive qualities, gifts of service or gold you are to bring into your life). Your early life and later life Talents (These are the set of active or latent talent abilities within your ego personality that are to be bought up into consciousness and polished by working through the challenge issues that are activated from the moment you are born. The talent energies act as a fulcrum to push through and transmute the challenge elements into your greatest gifts. As the talents get stronger through time by working through the challenge issues, they allow you to start working towards manifesting your goals. Your overall Soul Destiny (The sum total of all six aspects of the earlier and later life energies produces the Soul Destiny or Life Purpose – the meaning of your life, why you came to Earth in the first place. This is the answer to the big question you have been asking yourself at some level of your being your entire life). In order to decode your name to reveal your personal mission, I work with the Star of Creation (known in the West as the Star of David). Based on the concept that each letter of our English alphabet possesses a numerical value, the Soul Purpose Reading is a system of assigning a number value and calculating the equivalence of letters, words or phrases into the Hebrew alphabet which contains 22 letters. These 22 Hebrew letters have been decoded by the Sefer Yetzirah (see note below) to reveal mystical energy vibrations and meanings which are not only seen in all creation, but as each human is a mini universe ourselves, the 22 vibrations or frequencies, can also been seen in ourselves. It is these 22 frequencies that we look at in your Soul Purpose reading to see how they play out. Much depends on where the frequencies are positioned in your chart, the relationship they have with the other frequencies and any given dominance of vibration which may be apparent. Note: The Sefer Yetzirah is one of the oldest, most obscure and mystical texts influencing many Western esotericists, kabbalists and alchemists. It presents a creation theory and crucially to our Soul Purpose reading – the corresponding letter sounds which relate to the different aspects that make up material existence and the polarities of the everyday world. How much does a reading cost and how can I book my reading? Please GO HERE to make a booking and view the prices. All of my readings are just as effective via Skype or telephone in case you do not wish to travel to see me personally to receive your reading. "My reading with Ariella was absolutely amazing! I told her my worries before the reading and she put them to ease even before the actual reading. I connected with her and felt very comfortable while she was telling me her story which was no nice and relaxing to know where she was coming from and definitely allowed me to connect with her on a soul level. During and after the reading she made sure that if I had any questions she answered right away. She went above and beyond what I ever could of imagined. The reading was spot on perfect! It gave me insight into different aspects of my life and how to better handle ups and downs. I feel like a completely different person. So much was made clear. Immediately after the reading I felt lighter and happier. The days following the reading I was so happy and clear! I love everything about this reading and hope to continue working with Ariella! If you're contemplating a reading with her just go with your intuition! She is amazing! Even over Skype she radiates love and light from her soul! Thank you Ariella!!" - Brittany, USA.